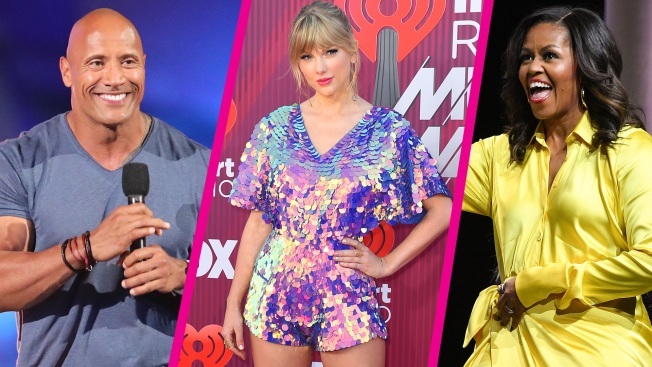 Musician Taylor Swift, TV journalist Gayle King and soccer star Mohamed Salah are among the six famous faces featured on the covers of Time’s annual “100 Most Influential People in the World” issue. The other cover stars also included House Speaker Nancy Pelosi and actors Sandra Oh and Dwayne Johnson. Johnson was praised for establishing a positive work environment, while Oh is cited for her creative life. The issue is comprised of short tributes to its honorees that are written by fellow global leaders throughout all industries. Beyoncé penned an essay on former first lady Michelle Obama. President Donald Trump and Special Counsel Robert Mueller were also on this year’s list. Both Supreme Court Justice Brett Kavanuagh and Christine Blasey Ford, who testified at Kavanaugh's confirmation hearing that he sexually assaulted her when they were high school students. Democratic presidential candidate Sen. Kamala Harris, D-Calif., wrote Ford's tribute. Model Chrissy Teigen and comedian were listed as "pioneers," while the "icon" category included Spike Lee and Lady Gaga. The "artist" group had in the mix BTS, Mahershala Ali, Brie Larson, Glenn Close, Khalid, Rami Malek, Emilia Clarke and Yalitza Aparicio. Democratic presidential hopeful Sen. Elizabeth Warren, D-Mass., wrote about Rep. Alexandria Ocasio-Cortes, D-N.Y., saying that, "a year ago, she was taking orders across a bar. Today, millions are taking cues from her." The "leaders" category also included Senate Majority Leader Mitch McConnell, China premiere Xi Jinping, Brazilian President Jair Bolsonaro, New Zealand Prime Minister Jacinda Ardern, teen climate activist Greta Thurnberg, and Attorney General William Barr. The "titans" group included Facebook head Mark Zuckerberg and sports stars LeBron James and Tiger Woods.